Supposedly there is somebody interesting in operating the brewery but no details are available at this this. A new pub, the Kingstone Arms, has opened in its place. Initial reports were a little promising in that they might have cask ales. Sadly, they have handpumps that are connected to standard kegs. So no need to stop in as the beer are mostly industrial. Zum Franziskaner re-opened on January 24 with among other things, an increase in 6 taps to a total 13. 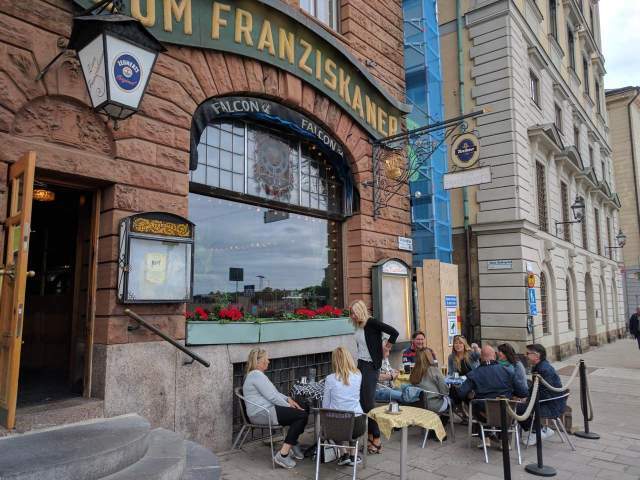 Zum Franziskaner will be closed from Christmas to some time in late January as they undergo extensive renovations. Both the Monks Café Wallingatan and the Monk's Porter Bar have lost their alcohol permit and therefore cannot serve any beer over 3.5 abv. The owner has appealed so there is chance they may resume serving at any time. The Bishop's Arms pub in Folkungagatan has closed as of September 16. The kiosk is on public land and the government signed a contract with the Spendrups brewery to be the exclusive beer provider. They are keeping the Pilsner Urquell Tanková. Food menu is changing to Tapas style small dishes. A new entry in the growing Mikkeller beer empire has opened in the Östermalm district in Stockholm. Not far from the Östermalmstorg tunnelbana (subway/metro/tube) station. Big Country at Döbelnsgatan 25. Has closed This was the formerly the Mikkeller Bar in Stockholm so the site has not been good to the beer scene. If you plan of visiting one of these, please call ahead first to make sure they are open. The Bierhaus in Stockholm has the same ownership and has also entered bankruptcy. An article on the Malmö Bierhaus in Swedish is here.